A team led by David Latchman, a geneticist and administrator at University College London, has notched a mysterious retraction in the Journal of Biological Chemistry, and has had 25 more papers questioned on PubPeer. This article has been withdrawn by the authors. An error was pointed out to us that a single figure panel (Figure 1D) from our paper published in J. Biol. Chem. 2002 v277:13693‐9, had also partially appeared in another paper of ours. Although this data is not crucial for the overall conclusion of our manuscript, we regret that due to this error we had to withdraw this paper. Finally, it is in our interest that we intent to resubmit our revised manuscript with an amended figure. The paper has been cited 11 times, according to Thomson Scientific’s Web of Knowledge. Retraction Watch has learned that the University College London received allegations of problems in December 2013, and convened a panel to investigate in the summer of 2014. We’ve contacted them to find out if this retraction is the first to result from that investigation (see update at the bottom of the post). Fig. 4B included two magnifications of the same image of Brn-3b-overexpressing cells rather than four independent images as stated in the figure legend. The revised Fig. 4Bincludes four representative images. An additional LTR1 image (left panel) has also been included to distinguish from 3b-as-1 (right panel). These corrections do not affect the interpretation of the results or the conclusions of this work. The Western blot images that represent Bax and Noxa protein expression in Fig. 4A were reversed, with the Bax image labeled “Noxa” and vice versa. The images are labeled correctly in the revised Fig. 4A. This correction does not affect the interpretation of the results or the conclusions of this work. We’ve contacted Latchman for comment, and will update with anything we learn. UCL has received an anonymous allegation of potential research misconduct concerning UCL staff, which is currently under consideration under its Procedure for Investigating and Resolving Allegations of Misconduct in Academic Research. The process is ongoing and it would be inappropriate for us to comment about named individuals at this stage. Some errors have been identified in eight publications, and appropriate retractions have taken place. This should not be misinterpreted as an indication that individual authors have been either knowingly or deliberately involved in misconduct, because our processes are not yet complete. UCL is committed to maintaining the integrity and probity of academic research and we now intend to follow and complete our defined processes. JBC should be ashamed of themselves. These insouciant retraction notices (which are actually called withdrawals, not retractions!) are nothing but an insult to the scientific community. I am a little concerned that UCL took from December 2013 until the summer of 2014 to convene an investigative panel. @Fernando Pessoa, the motto of many an official investigation is “Dig deep, sift most finely, but only where there are no skeletons”. They may also have found it hard to find “suitable” people to be on the investigative panel. Doubtless the problems identified on PubPeer in the dozen papers will largely be found to be down to “error”. Perhaps we need to generate a new jargon now, Type1 error, type 2 error and so on. I note that from the tag line this retraction is not under “dong the right thing”. Indeed a lot of open questions. Stephanou is co-author of many, but not all of Latchman’s papers. He rather predictably points out that the incriminated images were “not crucial” to the overall conclusions. He does not seem to have understood. Image manipulations and other forms of data rigging are for science what doping is for sports. You gain an unfair advantage. Each paper submission and each grant application can be seen as a separate competition. If you are doped (i.e. use “beautified” images, invent “non-crucial“ findings) you stand a higher chance of winning on this particular occasion, to the honest competitors’ detriment. The pointing out that the manipulated figure-based conclusions have later been found to be valid is another popular defence of such intolerable practices. Even if such claims are correct, which they might well be, this makes absolutely no difference. Science is the opposite of guesswork; it is the reporting of experiments and their results. It is not the reporting of someone’s expectations of what the results will be, might be, ought to be, or what they hope them to be. It is very troubling that an increasing number of “scientists” are revealed to confuse science with some sort of betting parlour. Equally worrying is the impression that too many of the others do not appear to have a major problem with that. I wonder why? Am J Cardiol. 2004 Apr 22;93(8A):35A-40A. Nutritional supplementation with mixed essential amino acids enhances myocyte survival, preserving mitochondrial functional capacity during ischemia-reperfusion injury. Scarabelli TM1, Pasini E, Stephanou A, Chen-Scarabelli C, Saravolatz L, Knight RA, Latchman DS, Gardin JM. For reference. Circ Res 90,745. As Dave Fernig points out, forthright institutional investigations motivated by a quest for The Truth are definitely the exception. It’s just going to be better and quicker to bypass the official channels wherever possible. I think any interested scientist is able to draw their own conclusions from the entries on PubPeer. Funny thing is, once the institutions feel that they are being overtaken by events and that the world is watching, they seem to become a lot more interested in taking action. Ho hum. UCL spokespeople seem to have bent over backwards to reassure the world that they are investigating actively and that it’s only a matter of time before they blame someone for those errors, all without commenting on named individuals! The smoke signals suggest to me that they are not going to be standing by their man. Brain Res Mol Brain Res. 2003 Oct 7;117(2):206-12. Sensory neurons from mice lacking the Brn-3b POU family transcription factor are resistant to death-inducing stimuli both in vitro and in vivo. Ensor E1, Mathews K, Payne Smith MD, Latchman DS. 1Institute of Child Health, University College London, 30 Guilford Street, London WC1N 1EH, UK. with figure 3A J Biol Chem 276,5204 (2001). For reference. J Biol Chem 276,5204. 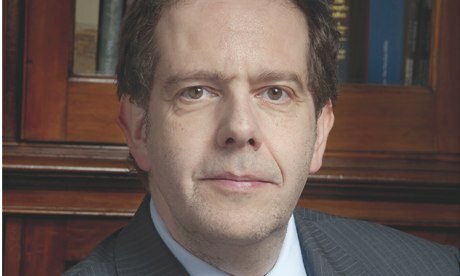 British medical journal “the Lancet” reporting on David Latchman’s retraction and corrections. It also speaks to the problem of supervisory administrative staff being incapable of poor supervision and sloppy administration when attempting to commit “quality” time to: 1) Too many students; 2) too many grants to manage; 3) too many simultaneous appointments; 4) too many committees; 5) not recognizing the human frailty of over-ambition, best-intentions and at the simple acknowledgement that one commits too thinly to too many ongoing tasks, something has to give. Oftentimes, that means one reputation and credibility. Surely supervisory administrative staff are adults and can decide which jobs they are able to perform? While certain modifications of primary data are often needed for clarity and/or brevity, image manipulation for deceptive purposes, to unfairly enhance or eliminate or otherwise obscure data, is misconduct and will be addressed as such. However, to be perfectly fair to the authors, was this wording or clause even available in 2004 in the journal when they submitted their paper? Unfortunately, I do not have access to a library with a hard-copy of the 2004 volumes of JBC when presumably this paper was submitted, but undoubtedly many RW readers do. Could someone kindly add the exact wording in the IFA at that time that clearly specifies the issue of authorship responsibilities and accountability, as well as any policies related to figure manipulation, especially splicing. Pubpeer comments on 42 papers. At the bottom of the first page there is “Load more publications” button. Press it. Another David Latchman publication has just come under scrutiny. Another paper where David Latchman is penultimate author, under scrutiny. Don’t forget to press the “load more publications” button at the bottom of the first page of the list. Previous Previous post: What if universities had to agree to refund grants whenever there was a retraction?